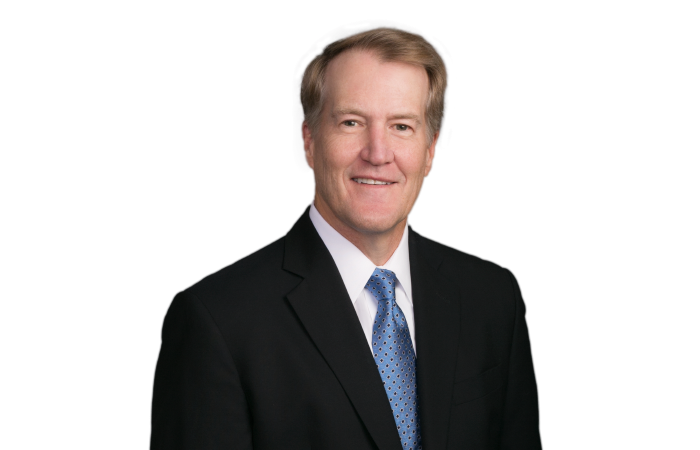 David Marshall specializes in complex product liability and toxic tort litigation, serving as national coordinating counsel and trial counsel to assist clients in managing and defending litigation nationwide. David has tried more than 100 cases to verdict, including trying cases in California, Delaware, Florida, Georgia, Kentucky, New York, North Carolina, Pennsylvania, South Carolina, Tennessee, Texas, and Washington. David has defended many of the largest manufacturers and distributors of asbestos products. Represented a national manufacturer of press equipment in a living lung cancer case where he received a favorable settlement after starting trial in New York, New York. Represented a national manufacturer of building products in a mesothelioma wrongful death case that he favorably resolved during the second week of trial in Seattle, Washington. Represented a national furnace manufacturer in a living peritoneal mesothelioma case where he received a favorable settlement during jury selection in Los Angeles, California. Obtained a dismissal during jury selection for a boiler manufacturer in a mesothelioma case in Philadelphia, Pennsylvania. Secured a defense verdict on behalf of a national building products manufacturer in a wrongful death mesothelioma case in Greenville, South Carolina. Represented a boiler manufacturer in a living mesothelioma case where he received a favorable settlement during trial in New York, New York. Secured a defense verdict on behalf of a national building products manufacturer in a wrongful death mesothelioma case in Wilmington, Delaware. Secured a defense verdict on behalf of a national furnace manufacturer in a living mesothelioma case in Los Angeles, California. Secured a defense verdict on behalf of an insulation contractor in a mesothelioma wrongful death case in Chattanooga, Tennessee. Plaintiff’s counsel demanded $10 Million during closing argument. Instrumental in obtaining a ruling which held that claims against contractors for asbestos exposure are barred by the real property statute of repose, resulting in the dismissal of hundreds of lawsuits. Represented a national manufacturer of building products in a lung cancer case in which Plaintiff alleged exposure to client’s asbestos-containing product. The trial resulted in a favorable verdict that Plaintiff is currently appealing. David represented Owens-Corning Fiberglass in multiple trials around the country in the late 1990s involving asbestos-related deaths, during which he received defense verdicts and favorable settlement agreements. Obtained a dismissal during trial for a national hospice provider in Fulton County, Georgia. Plaintiff contended that the hospice provider committed fraud by executing documentation to provide hospice service to the Plaintiff without Plaintiff’s consent. Secured a defense verdict for national assisted living facility in Gwinnett County, Georgia. Plaintiff sustained personal injuries and alleged both simple negligence and professional negligence. Plaintiff contended that Defendant violated multiple Georgia Personal Care Home Regulations, Georgia Residents Rights, and its own policies and procedures. Represents Sunbelt Rentals, a leading distributor of industrial and construction rental equipment. Defends numerous scaffolding, ladder and other industrial and construction equipment manufacturers and distributors. Represents BMW of North America, Volkswagen of America and Audi of America for claims arising out of breach of warranty. Obtained a directed verdict on behalf of an automobile manufacturer in a warranty claim where Plaintiff alleged defects which required multiple transmission replacements. The Plaintiff is currently appealing. David has represented Wendy’s and Arby’s Group, leading national restaurant chains, as well as multiple insurance carriers in a variety of claims across the nation. Represented an apartment complex in a mold case in which Plaintiffs alleged that the apartment complex was negligent for failing to provide security, which resulted in the death of the decedent. The trial resulted in a favorable verdict. Represented an apartment complex in a case in which Plaintiff alleged that the apartment complex was negligent for failing to provide security, which resulted in the death of the decedent. The trial resulted in a favorable verdict. Represented a company that decommissioned MRI machines in a case in which the Plaintiff alleged a traumatic brain injury as a result of a decommissioning of a MRI machine that exploded during the process of being moved. The trial resulted in a favorable verdict that the Plaintiff is currently appealing. Obtained a defense verdict on behalf of a hotel in Fulton County, Georgia. The plaintiff sustained personal injuries and claimed special damages of over $500,000 for past and future medicals, including a prosthetic elbow. The defense made an offer of judgment in the amount of $200,000 prior to the trial. Upon graduation from law school, he served as an Assistant District Attorney in the Clayton Judicial Circuit, Georgia for four years, with a conviction rate of over ninety percent before entering private practice.